Drone Specific Shotgun Shells from SRSP?!? 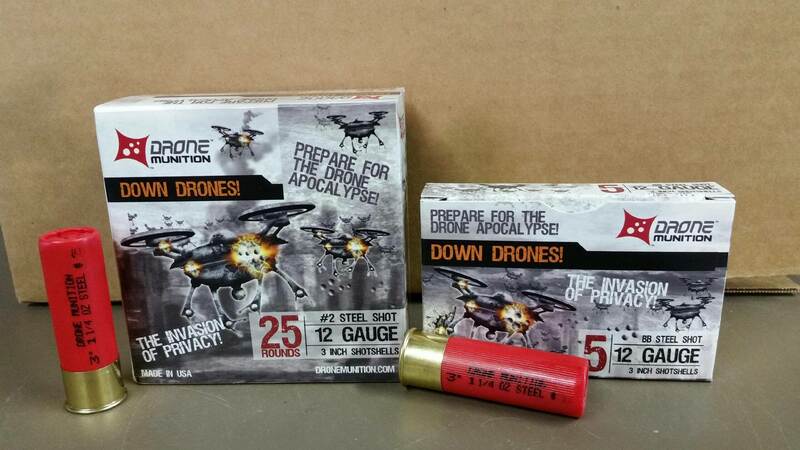 Drone Specific Shotgun Shells from Snake River Shooting Products and Consulting Inc. (SRSP)?!? Home/Drone Law, Drones, Odd/Weird, WTF/Drone Specific Shotgun Shells from Snake River Shooting Products and Consulting Inc. (SRSP)?!? When I stumbled upon the Drone Slayer 5000, I was shocked. Seriously shocked, but it was a do-it-yourself, home project. A project completed by one irate individual, not a mass marketed product by any means. 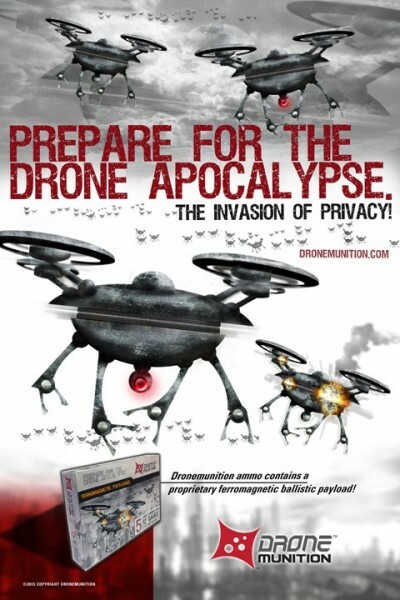 Then I learned about the new “Drone Munition” shot shell from Snake River Shooting Products and Consulting Inc. (SRSP) and I realized that drone hysteria has reached a new level. Snake River Shooting Products and Consulting Inc. (SRSP) is excited to announce Drone Munition shot shell based defense rounds are now shipping. Drones, or light quad-copters, are one of the best-selling new gadgets on the market, and were among the top new Christmas gifts given in 2014. Stories about drones are hitting the news daily in both positive and negative light. While a great product idea, unfortunately, drones have a tremendous potential for misuse and these misuses have been happening more and more frequently. After reading through their marketing, I’m still a bit confused. Can someone please explain what the coming “drone apocalypse” is? Please drone operators, we need to fight the anti-drone sentiment with education. By properly leveraging education, we can avoid potential legislation that could hamper drone innovation industry wide. Get educated by taking a drone college course from a reputable organization like Drone Universities. By Sam Estrin|2017-08-31T15:24:22+00:00September 22nd, 2015|Drone Law, Drones, Odd/Weird, WTF|Comments Off on Drone Specific Shotgun Shells from Snake River Shooting Products and Consulting Inc. (SRSP)?! ?